Welcome to Boise, Idaho, and to Boise State University, for one of three Future of Nursing: Campaign for Action 2017 workshops focusing on continued work to implement the Institute of Medicine recommendations, and to build a Culture of Health in communities across the nation. The Idaho Nursing Action Coalition and Boise State University are excited to co-host this meeting and anxious to share our work and successes in these endeavors, as well as hear of progress others are making. The Campaign for Action is an initiative of AARP Foundation, AARP and the Robert Wood Johnson Foundation. We are pleased to present an array of speakers working every day to build a healthier Idaho. You will learn about innovative partnerships between Boise State University and Idaho government and communities. These alliances integrate health, business, nursing, social services, government agencies, and education in approaches that promote a sustainable culture of health and that provide educational opportunities for students who will have an impact on the future. In addition to offering the great opportunities at the conference to share common learnings and goals, we encourage you to take some nice walks along the Boise River or through the many parks near the BSU campus. 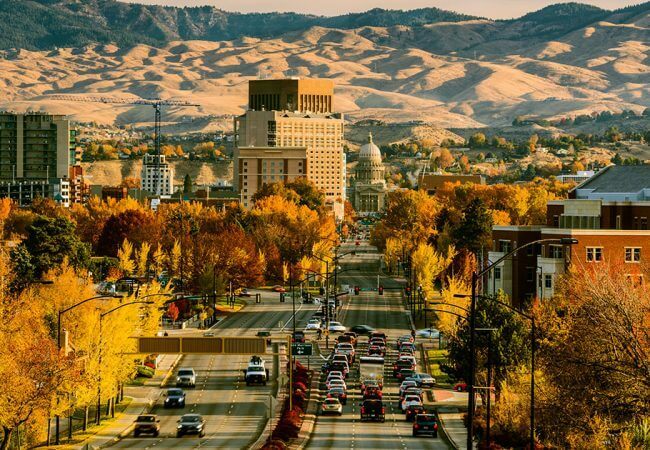 We are proud of our state, of Boise State University, of our beautiful capital city, and of our efforts to build a culture of health; and we are anxious to share them all with you.